Except for corporate income taxes (down a whopping 71.5% vs. projections), the state is doing better in August than budgeted. However, compared to a year ago, revenues are down, sales taxes are down, and corporate taxes are down, all by significant amounts. Moreover, the two-month totals for July and August are much worse as the following table shows. 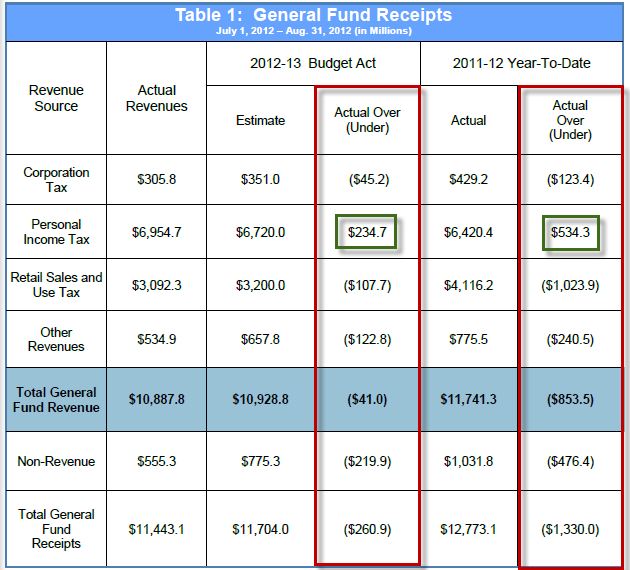 For July and August, sales Tax Collections are $108 million under budget. 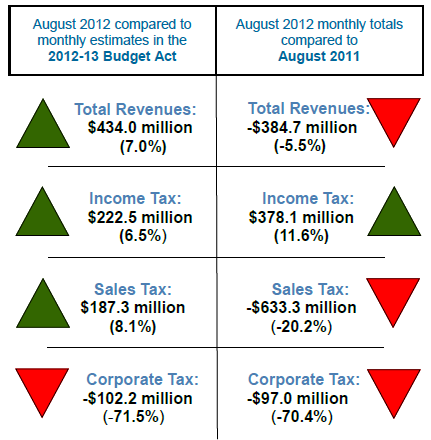 August sales tax collection is down 20% from a year ago, a huge decline of $633 million. This clearly shows people in California have cut back spending. I suggest people have cut back in other states as well, regardless of reported increases in retail sales, typically based on the flawed methodology of "same store sales". 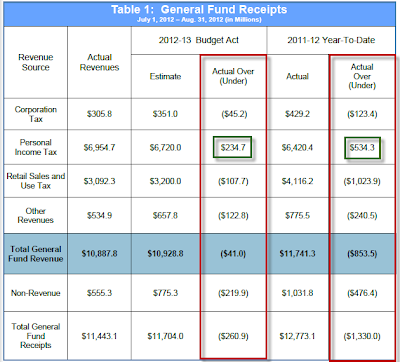 Sales tax collections show the real story, and the real story is "recession", the reason for Fed Panic! Spending Nearly $3 Billion Over Budget! So California, what are you going to do? Cut spending or hike taxes? I suggest spending is way out of control and retail sales will continue to disappoint.